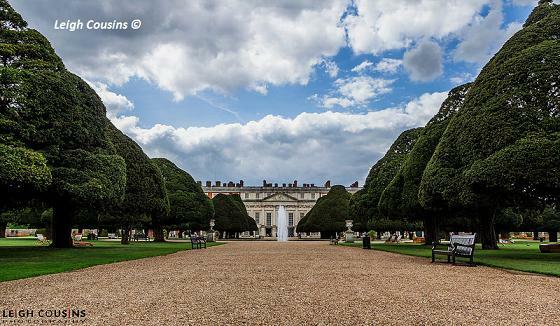 The superb Palace Hampton Court Palace and its garden was home to some of Britain's most famous Kings and Queens including Henry Vlll. 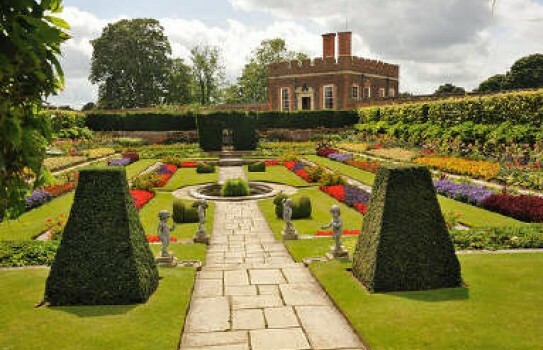 Superb gardens surround the Palace.The Riverside Gardens have been immaculately restored and cover 60 acres. Brilliant displays of bedding plants, knot garden with thyme and lavender. See the spectacular Fountain Garden and the wilderness Garden. Visit the famous maze covering 1350 square metres and see the world's oldest vine, which still produces 700 lbs of grapes each year. 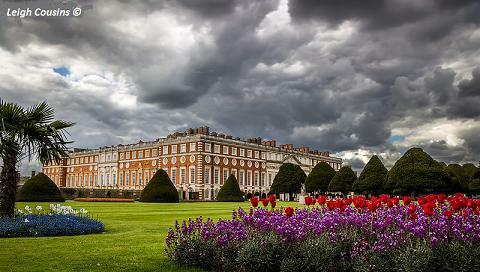 The Hampton Court Show should not be missed. Make sure you also have time to visit the amazing palace former residence of King Henry Vlll. Hampton Court Palace Garden - 2019 Open daily except 24 - 26 Dec.
Last entry 3.30 winter, 5 in summer. The park is open all year round from 07.00 to dusk. Disabled Access, Restaurants, Shop, Picnic area. see website for more information on opening times. If you want to take a break near Hampton Court Gardens, why not stay in one of our recommended hotels. Each hotel has genuine guest reviews enabling you to book from anywhere in the world in total confidence. Not only do we feature hotels near the garden, we also feature hotels worldwide and at all major airports. Special prices up to 70% off standard rates as well as hundreds of exclusive deals. Look now - click here.